For all intents and purposes, “self-driving tours” are more structured and carefully planned road trips in a specific area or stretch of land with slightly more of an emphasis on sight-seeing. Self-driving tours are offered all over the country and are a great way to spend your vacations. There are both several positive and negative aspects of taking a self-driving tour. You are the boss – You will set the pace for your tour. There will be no one rushing you or telling you “No, we can’t stop here.” How you go about your Alaskan self-driving tour will be completely up to you. 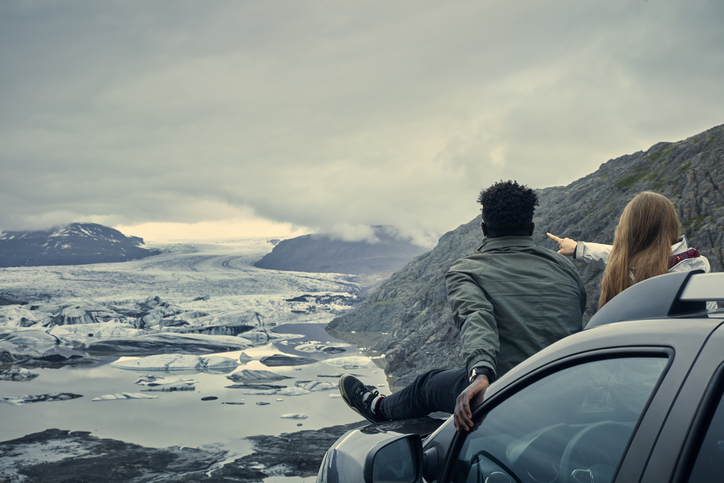 Bond with those you take the trip with – A self-driving tour of Alaska will provide you with a great opportunity to bond with family and/or friends as well as the opportunity to get to know them better. You will be making life-long memories during the trip! It will be more authentic – One of the best benefits to a self-drive tour is that you will get the most authentic experiences possible. You will be able to take whatever time you need to stop somewhere experience nature, see the wildlife and talk to locals if you so please. The price – The overall price of a self-driving tour can range from a couple hundred bucks to several thousand dollars. In Alaska, many self-driving tours range between $1,500 and $2,800 per person. This might seem like a lot but keep in mind that this cost includes accommodations for several days up to over a week, ferry passage, any taxes and fees, and the higher priced tours include extras like glacier cruises and lunches. Realistically, when you consider what all of this would cost separately, it’s a steal! It’s one of the best ways to see Alaska – You can really take your time and enjoy all of the sights that Alaska has to offer during a self-driving tour. You will be able to pull over and take some great photographs as well as spend quality time with friends and family. You’ll be driving yourself – An outrageously obvious point, but, one that needs to be made because driving around Alaska for seven or eight straight days can lead to higher levels of exhaustion. However, that can be expected from any sort of road trip or extended driving excursion. Your trip is at the mercy of the weather – Unfortunately, your trip could possibly be at least partially side-tracked by bad or inclement weather conditions. Although, if you choose a self-driving trip in Alaska and choose to do so in the spring or, especially the summer, you should be just fine. Lack of a tour guide – Odds are that if you’re taking a tour of Alaska or any place for that matter that you won’t know too much about the area including the very best and most specific spots to visit. A tour guide is usually very useful in this way. However, if you do your research and gather the right info, you will be just fine. You are on your own – If you have some sort of accident or emergency, you won’t have a guide or other tourists there to help you out. Don’t worry though, as long as you prepare properly and keep a few ways of reaching help with you, you won’t need to worry. There are a bunch of different self-driving tours in Alaska. The cost, specific locations, and scope of each one is quite different from the next. However, all of them are well worth the money and will be an incredible experience that you won’t soon forget. AlaskaTours.com – There are a wide variety of different Alaskan self-driving tours available to book on this website. They range from family tours, to rail and car combination tours to national parks tour. If you are looking for a self-driving tour of pretty much any area of Alaska, at least one of the tours from AlaskaTours.com will have it. On the site you can browse the tours by setting filters where you can sort by “activity”, destination and/or duration. The activities you can sort the tours by include: bear watching, glaciers, dog sledding, hiking, historical sites, northern lights, marine wildlife, river rafting, fishing and much more. The destinations that you can sort by include: Chugach National Forest, Denali National Park, Kodiak National Wildlife Refuge, Prince William Sound and much more. You can sort the duration of the trip from anywhere between two and fifteen days. Prices range from $789 to $5039 per person depending on which tour you choose. GoAlaskaTours.com – GoAlaskaTours.com is another great site that also has a nice assortment of possible Alaskan self-driving tours. The site has tours that span all of Alaska including: Anchorage, Denali, Fairbanks, Dawson City, Whitehorse, Skagway, Valdez and more. Prices range from $200 for a child on the cheapest tour to $4820 on the most expensive tour for an adult. AlaskaByDesign.com – AlaskaByDesign.com offers a variety of Alaskan driving tours with “early booking bonuses” of several hundred dollars for each tour. The tours available on the site include: Seward, Homer, Cooper Landing, Girdwood, Talkeetna, Denali National Park, Anchorage, Valdez, and more. Prices range from $1,498 to $4,446. There are a few things you should know before you get out on the road in Alaska and a few things to keep in mind while you are. You will want your self-driving trip to go as smoothly as possible, but you will also want to be prepared in case it doesn’t. Download Waze but still bring a roadmap – Waze is a GPS navigation app. However, what sets it apart from other similar apps is that its directions are based on real-time crowdsourced traffic information. It gets into such detail that it includes up-to-date reports on things like police being up ahead or potholes that might be coming up. An app like Waze is always extremely useful on the road, but it is essential when you are navigating hundreds of miles of road for days on end in an area that you are completely unfamiliar with. Like any other app, it requires your phone to have service in order to work. There are some areas out on the road in Alaska where you will not have cell service. So, be sure to bring an old-fashioned paper road map as a backup too. Be prepared – It certainly cannot hurt to have some extra supplies handy just in case an emergency of some sort does occur while you are out on the Alaskan roads and highways. Extra bulbs for your headlights and brake lights. Extra windshield wiper in case your current one breaks or malfunctions. Get a roadside assistance membership – Just in case you end up getting stuck in a scenario where you need someone to physically come and either repair or tow your vehicle on the spot, a roadside assistance program like AAA will come in handy. Make sure your license, insurance and registration are all current – You don’t want to end up getting an expensive appearance ticket, or worse, arrested for forgetting to renew one of these things just in case you end up getting pulled over. Get your car looked at before you venture out on the road – Getting your vehicle inspected before you head out on a self-driving tour might save you from breaking down when you’re far out on an Alaskan Highway. If you have roadside assistance, it should not be an issue for someone to get out to help you. However, you might have to wait for two hours or more depending on where you are. Be sure to take the proper amount of rest – Do not try to be a hero who drives a ridiculous fourteen hours in a day. Don’t drive for more than eight hours and be sure to get eight hours of rest. Also, while you are driving, take a quick rest stop every two hours or so if you aren’t driving in shifts. Make sure you focus and stay focused on driving – Leave any cell phone duty such as navigation inquiries to someone else in the car. Play some music or have some conversation so that you won’t doze off or start day dreaming. You can also try to open the window for fresh air or sip cool water to help keep you aware and awake. Try to avoid energy drinks and coffee as you will crash from those later on unless you drink them non-stop. Tire pressure – most cars can do this for you and alert you if you are getting low on air. If this isn’t the case, manually check with a tire gauge after every hours of driving. Gas – This seems like it would be apparent, but you will be surprised how easy it is to forget this after you have driven a few hundred miles. Miles driven – It is highly recommended that you not drive over five hundred miles per day. Not only is this in the best interest of maintaining your vehicle, it is dangerous for a regular person to drive further than this in one day because you can easily get fatigued by that point of mileage. Self-driving tours in Alaska can be one of the better ways to see some of Alaska’s most incredible sights. There are a ton of them too and they are all different. The activities on the tour might be different, the destinations might be different and/or the pricing might be different. You will need to shop around and compare. Take your time so that you are sure that you choose the best self-driving tour for you.